ow how any city can be improved at eye level? How to make an ecological city tour? What kind of vegetarian food you can find in Stockholm and what can be done with used coffee after it has been put out from the coffee-machine? 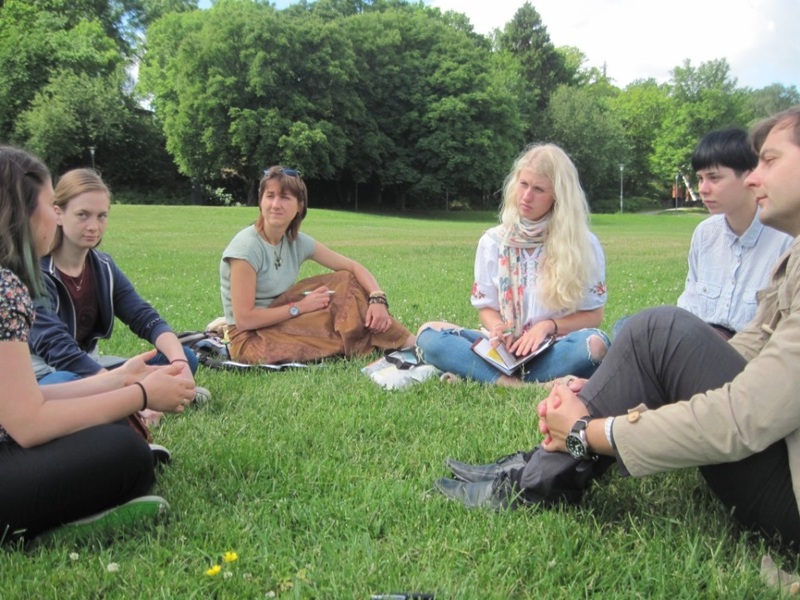 Four members of Ecoclub ‘Green Wave’ have explored all these things and many more during the 3-days visit organized by NGO “Global Playground Stockholm” in June 2016. Due to financial support of the Olof Palme Memorial Fund (Sweden) both NGOs had a possibility to visit each other for experience exchange, setting up new contacts, and brainstorming the ideas of future common projects. Core members of Global Playground Stockholm (Aleh Kliatsko, Stiva Liwiz, and Irina Mikhnovets) have guided us with their eco-tour through the Stockholm city center. The tour leads you through charity shops, fair-trade markets, and raw-cafés: the establishments oriented to sustainability, local producers’ support, and things’ reuse. The fair-trade café “Barista” at the end of the day gives its coffee rests for planting purposes. Urban gardening means to plant something eatable in wooden boxes on any urban public space. 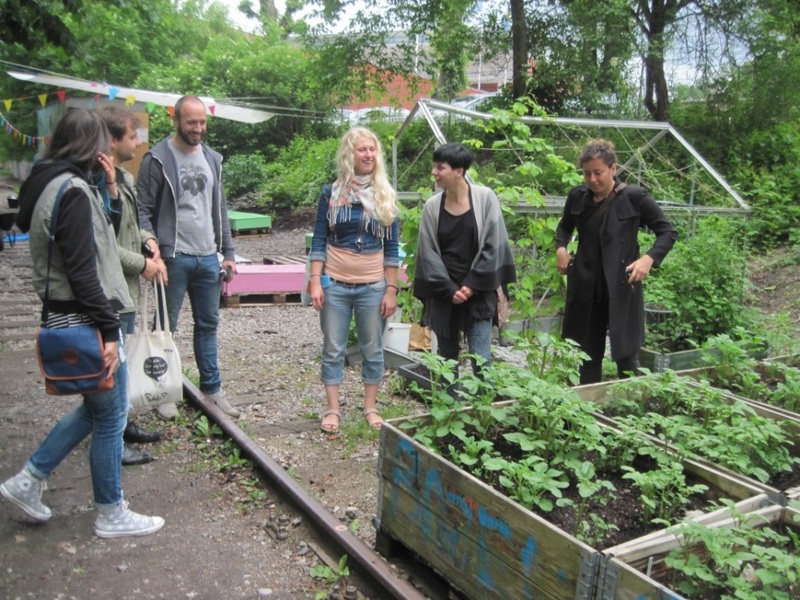 We’ve visited one garden in Trädgård på spåret situated on the old neglected part of railways and the second one at Skarpnäck – created by Global Playground Stockholm with the help of local authorities. Also we have not missed the chance to get acquainted with students’ studying possibilities provided by Swedish Institute and KTH Royal Institute of Technology. In Stockholm University we had a quite useful talk with the student ecological organization “Symbios”, having discussed common problems and specificity of managing student organizations in general. Having visited Sweco (the international company that provides ideas for innovative sustainable urban infrastructure) we were impressed by high-tech engineering solutions possible at the city level, like geothermal energy system in the local Arlanda Airport. The “City at Eye Level” project was a nice continuation of urban sustainable development topic. It foresees a rearrangement of the space along the streets at ‘eye level’ to make it more comfortable and friendly-to-use: to flower, to put some public chairs, to shadow if necessary, to narrow if the street is too wide for feeling pedestrians comfortable on it. It was symbolic to discuss such issues being at Färgfabriken – a unique exhibition space and foundation for contemporary art, located in an old paint factory. At the end we have visited the info center of Hammarby living district of Stockholm, which for sure can be regarded as a great example of sustainable urban planning. Having been a contaminated industrial zone till the 1990th, it has totally been redeveloped; at the moment it has a modern pipe waste transporting system, where air pushes the waste bags up to 70 km/hour to the sorting facilities.